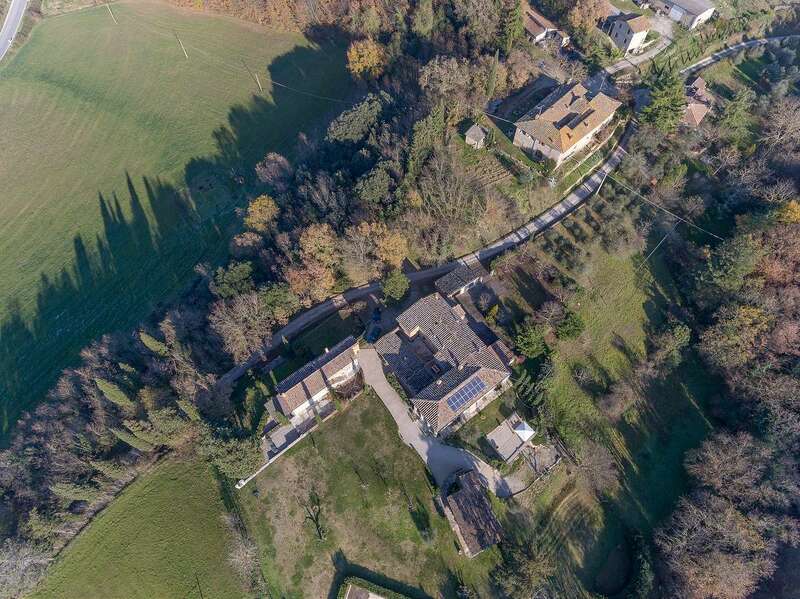 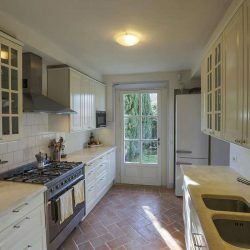 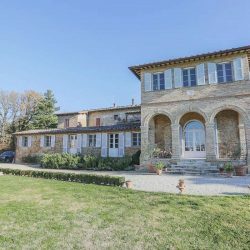 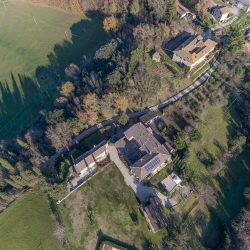 In the countryside of San Giovanni d'Asso, beautiful property comprising a main villa and annex divided into 5 units with a pool and 3 hectares. 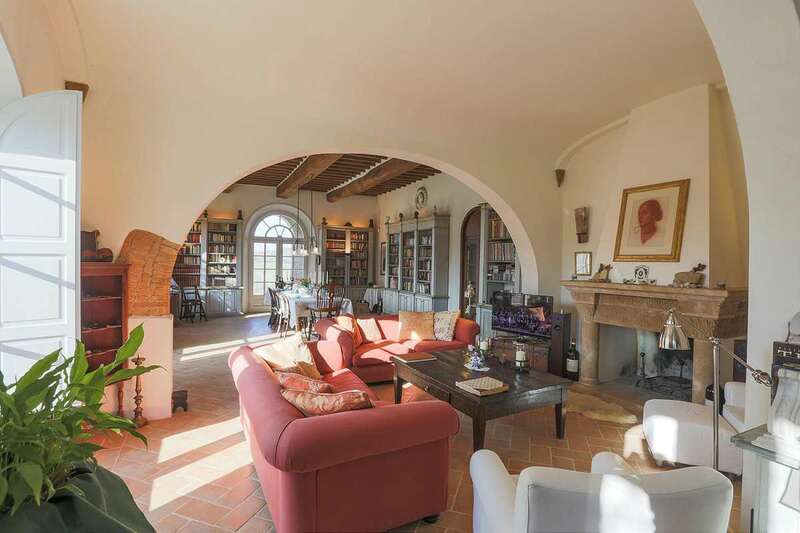 Montalcino Property. 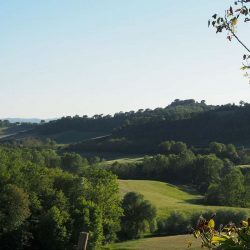 In the countryside of San Giovanni d’Asso, in the municipality of Montalcino. 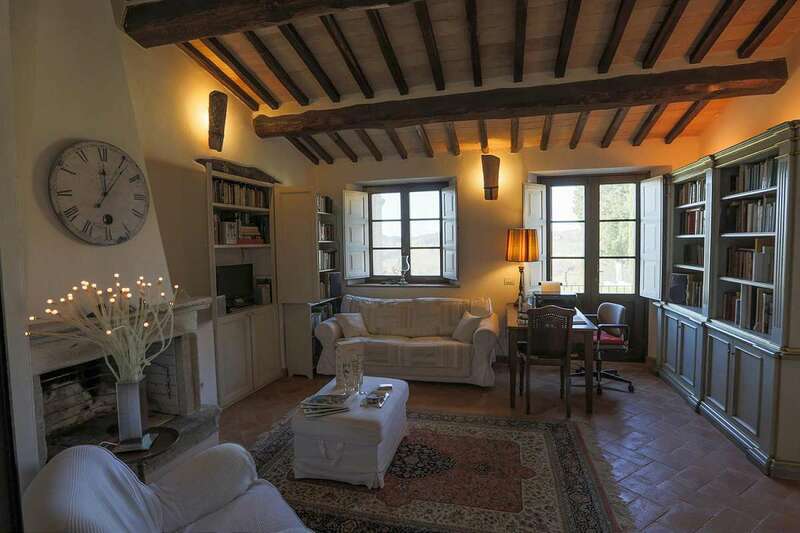 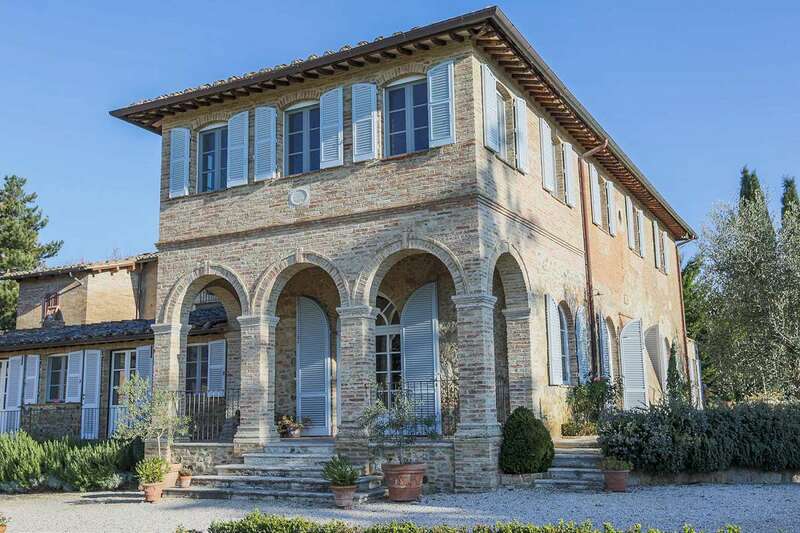 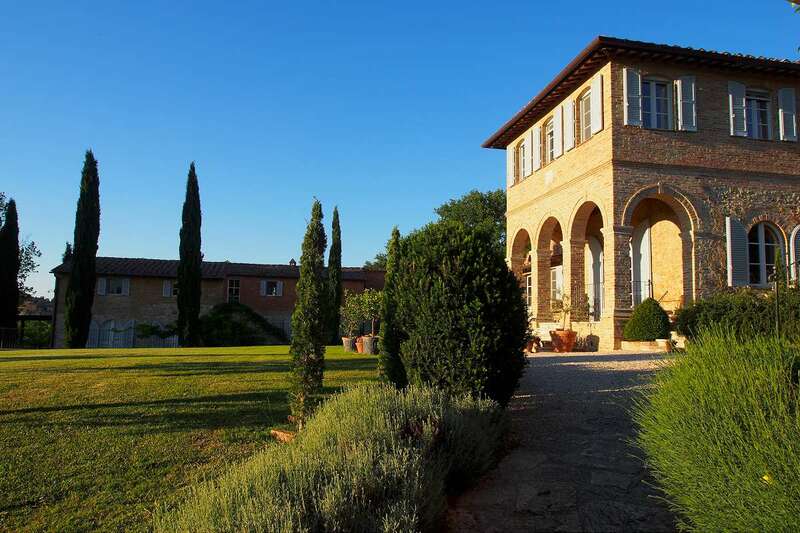 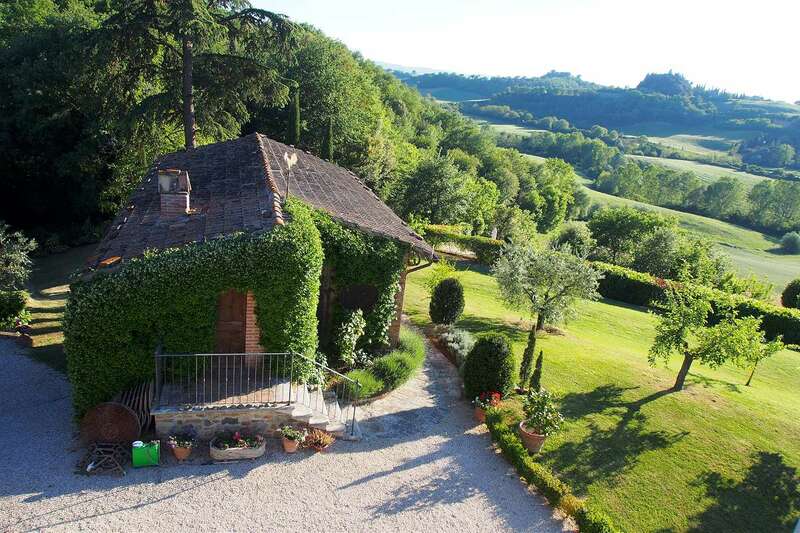 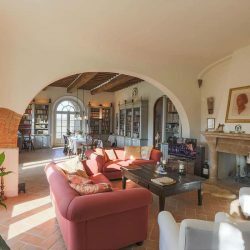 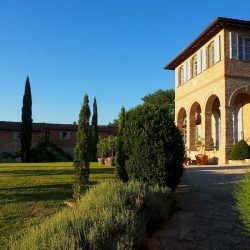 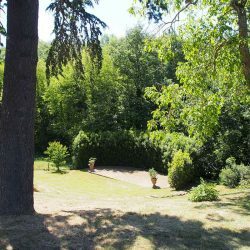 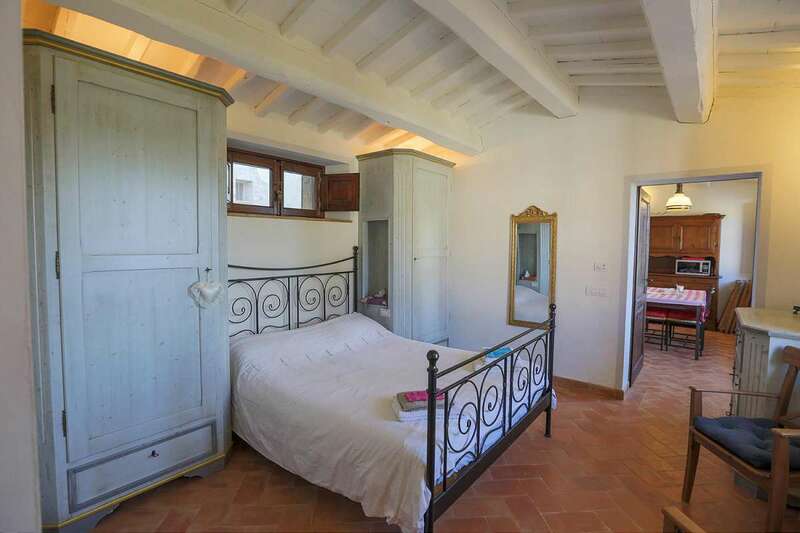 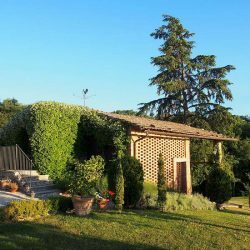 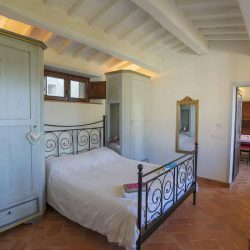 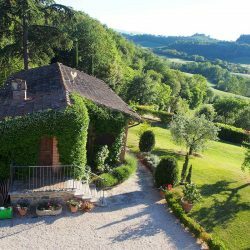 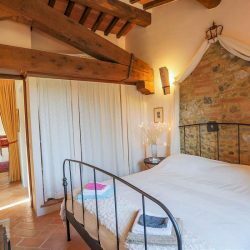 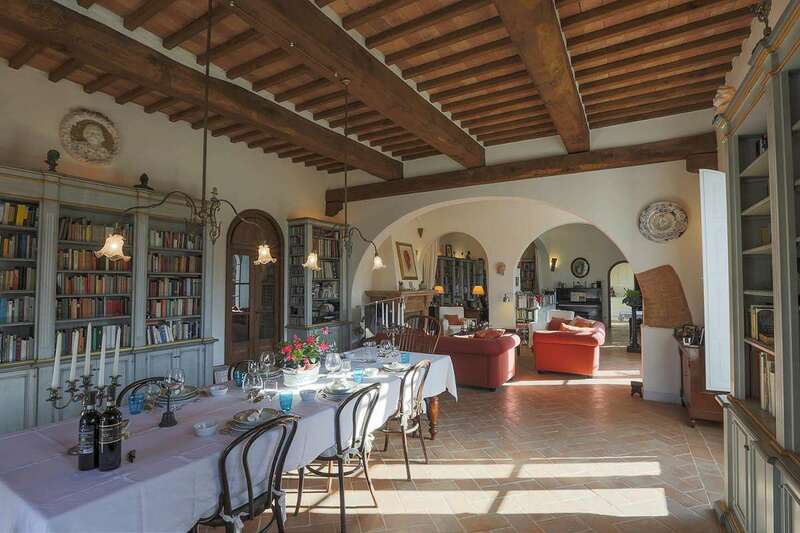 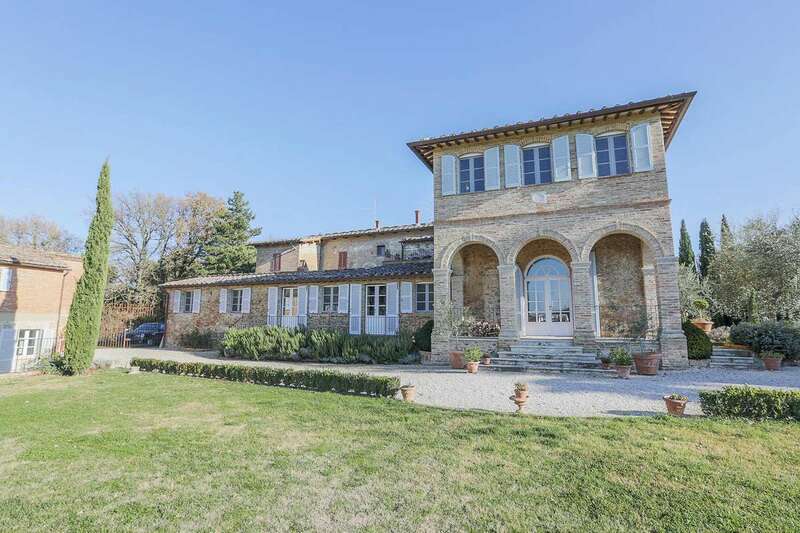 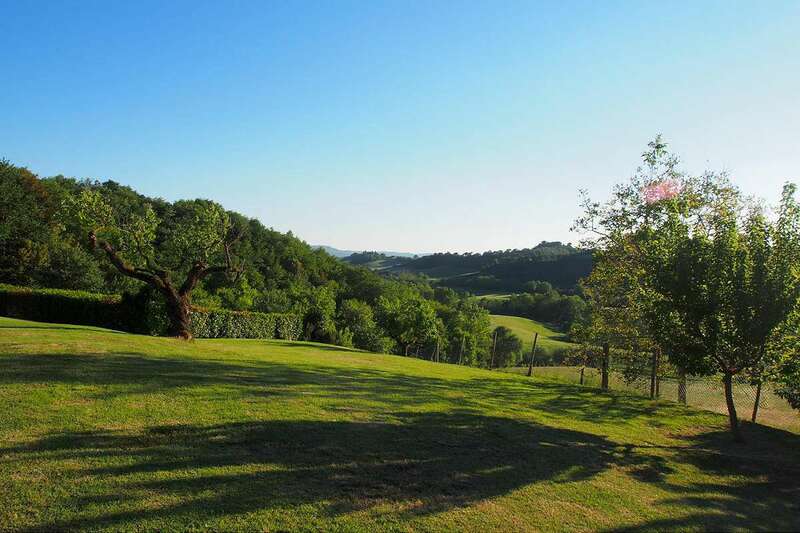 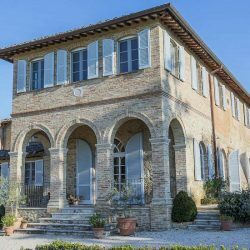 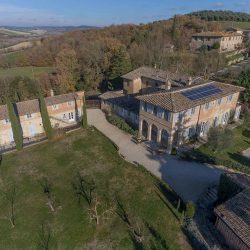 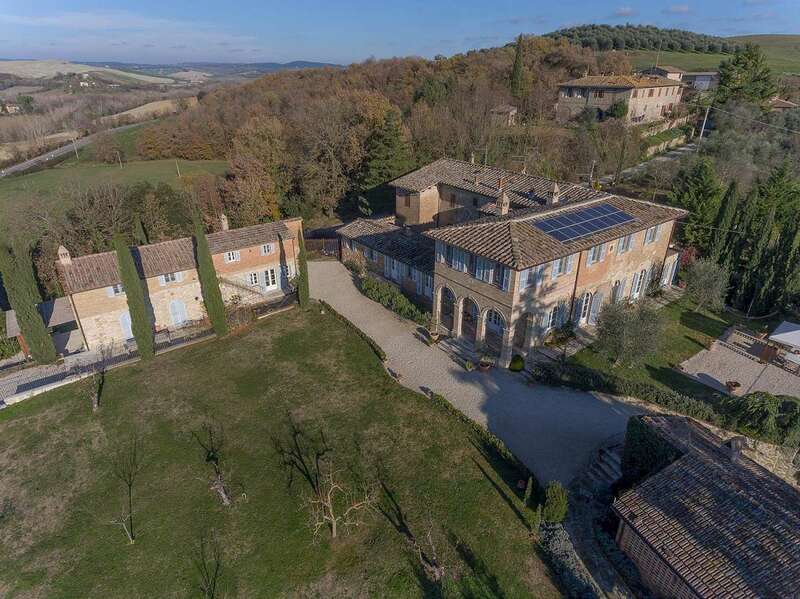 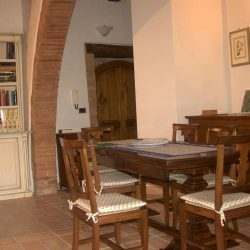 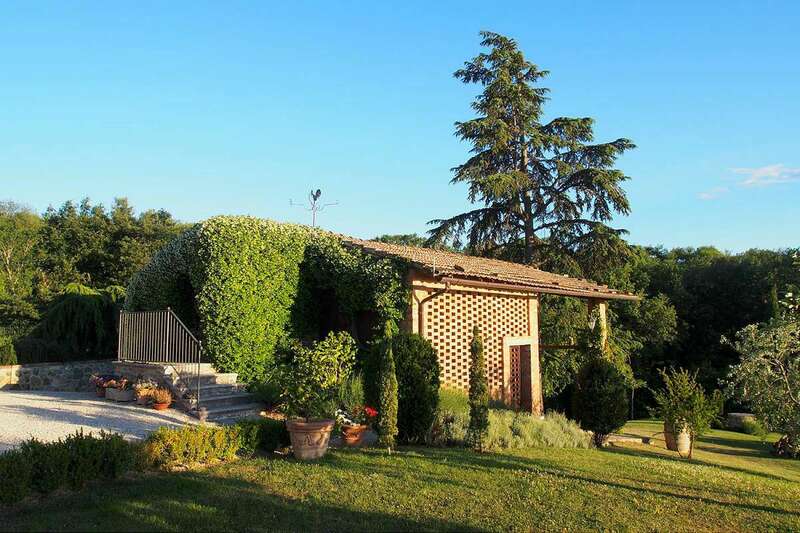 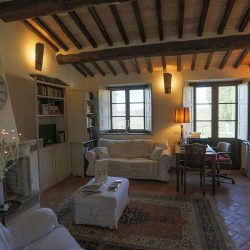 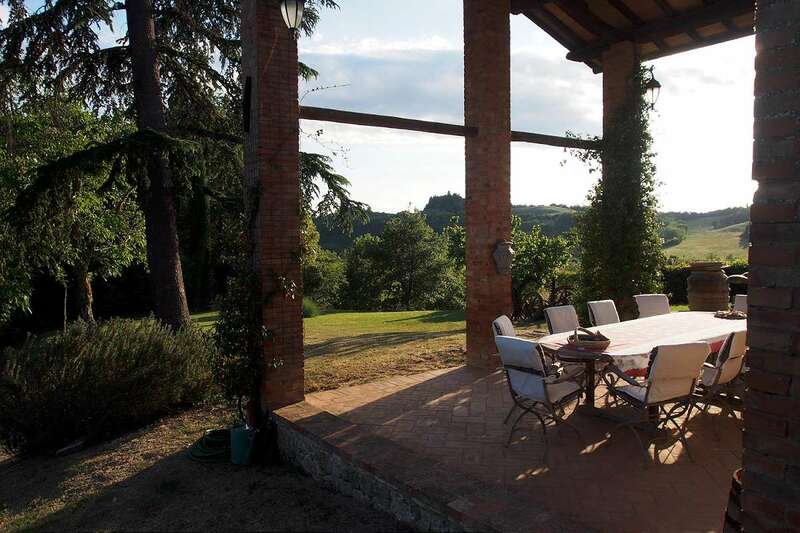 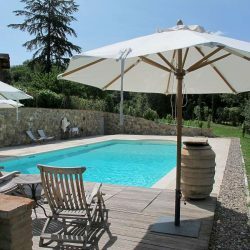 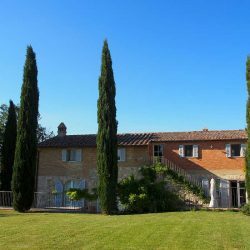 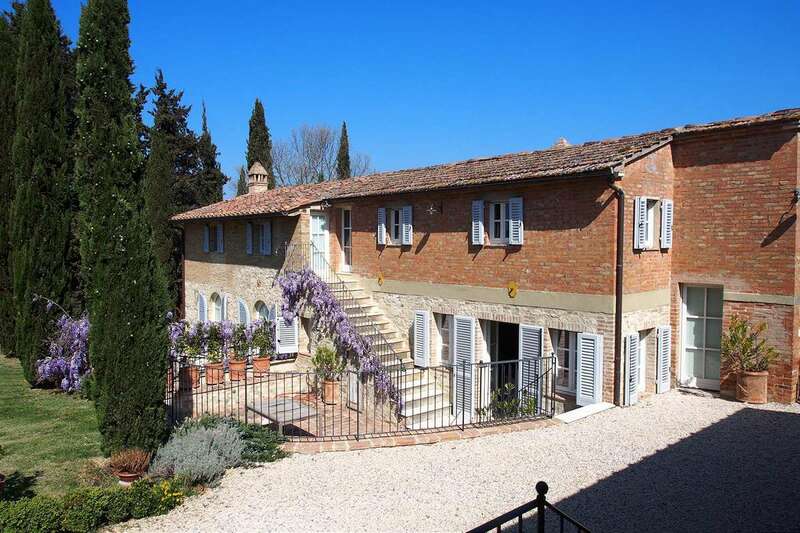 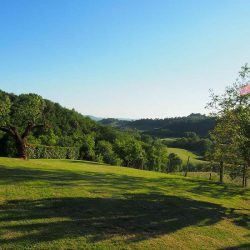 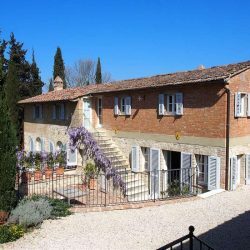 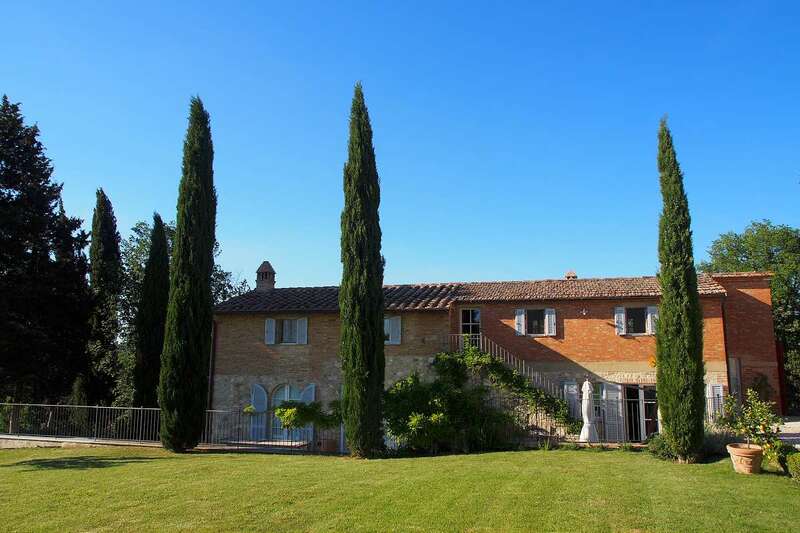 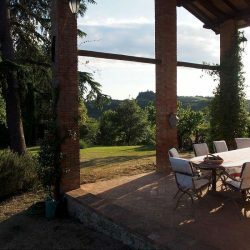 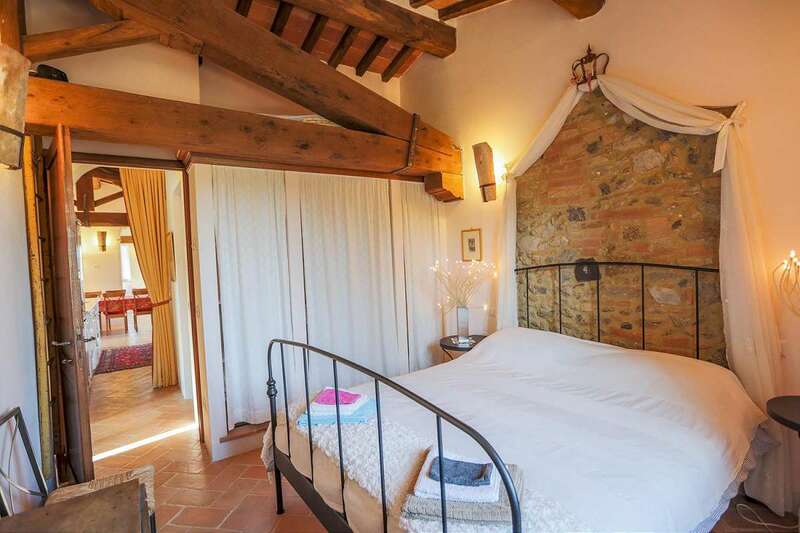 this wonderful property is within easy reach of Siena (50 km away). 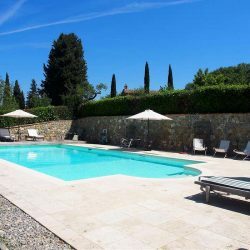 Many other places of interest such as Pienza, San Quirico and Montepulciano are less 30 km away and the proximity of the motorway and Chiusi station make Florence, Rome and Milan (55 km) easy day trips. 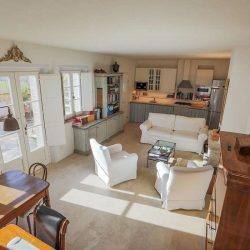 The property provides a total of 900 sqm of living space and comprises a main building divided into 3 residential units and a smaller independent building divided into 2 residential units. 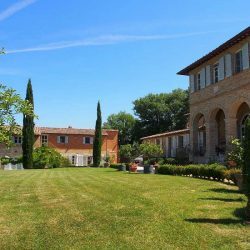 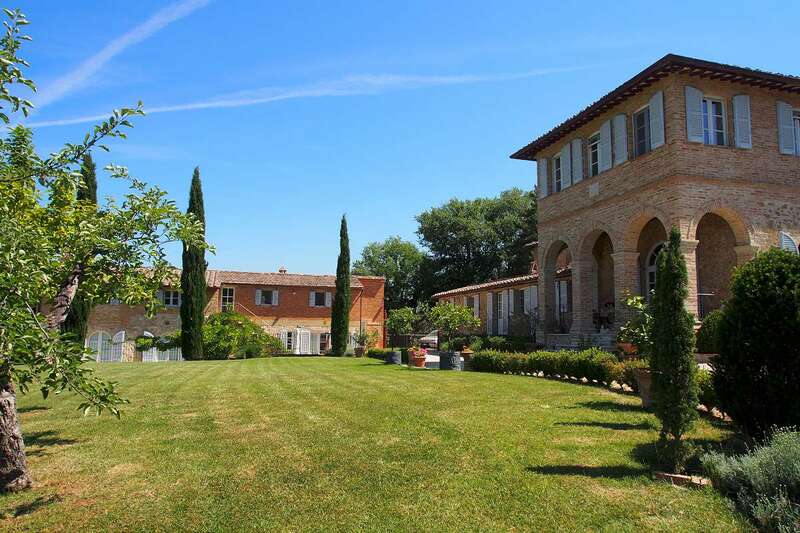 The property includes about 3 hectares of land with a panoramic pool, garden, parkland and olive groves. 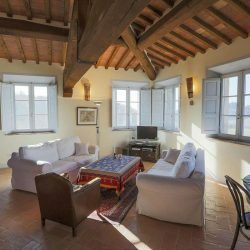 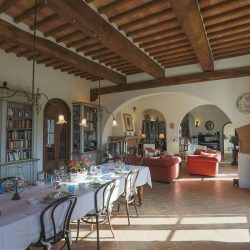 The renovation was carried out with great skill and attention to detail to create a lovely interior that features “cotto” tiled, wood and travertine floors and exposed ceiling beams. 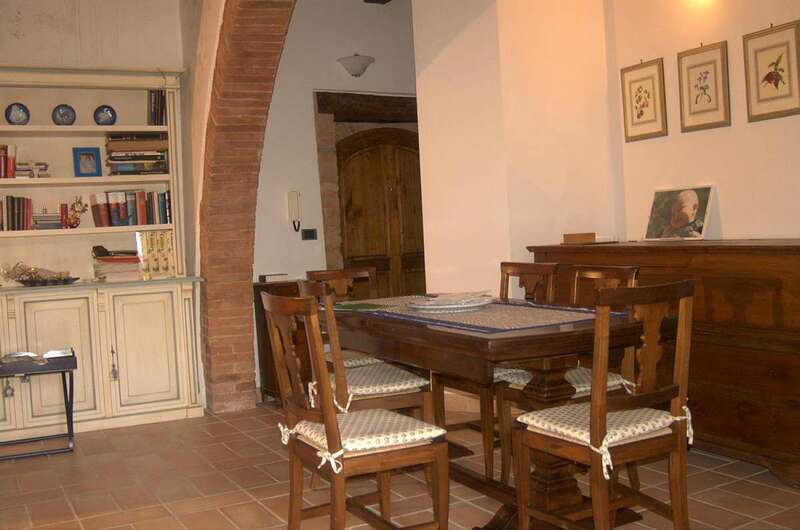 First floor: Dining room with kitchen, living room, three bedrooms, three bathrooms and a panoramic terrace. 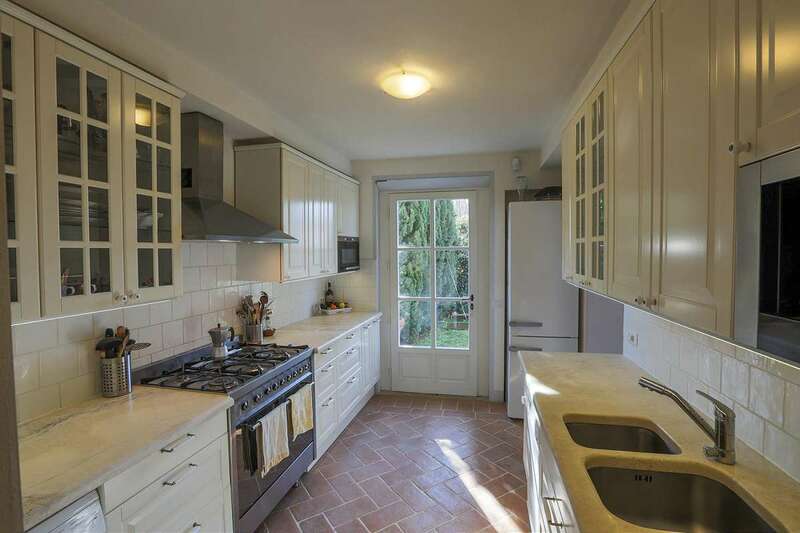 Unit 4: 130sqm on 2 levels. 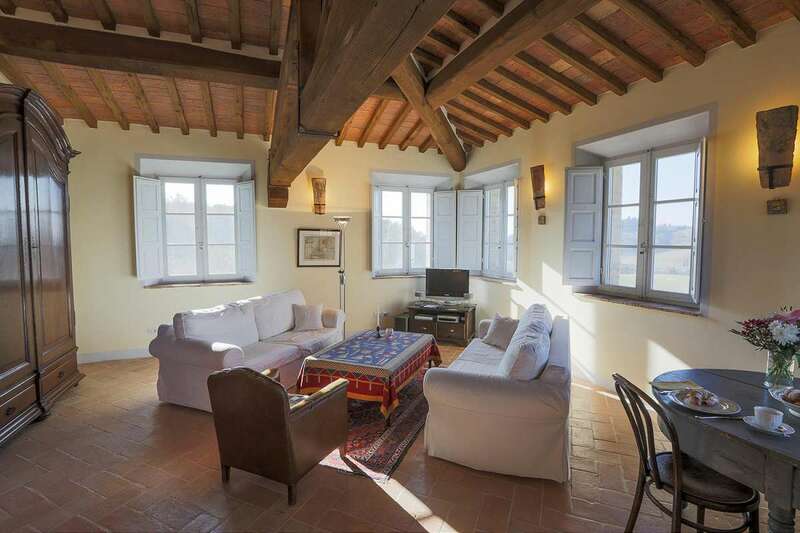 Unit 5: 160 sqm on 3 levels. 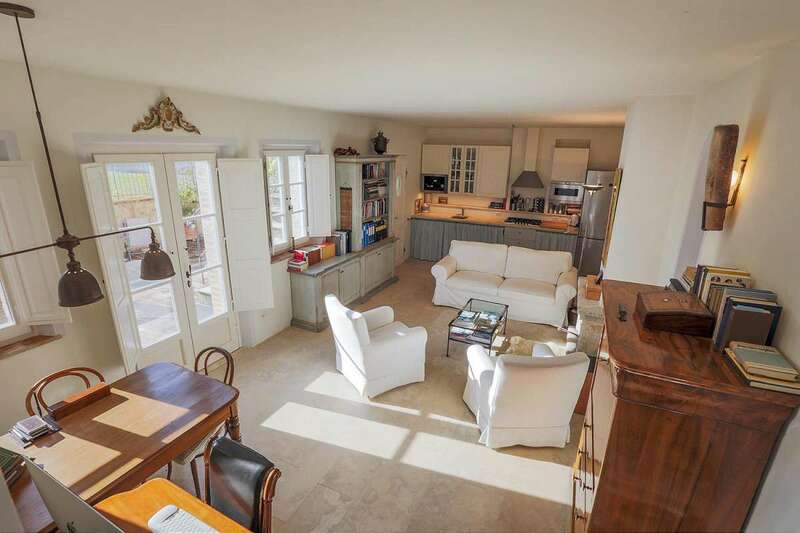 Basement: Large living area with bathroom (technically a garage, a change of use would be easy). 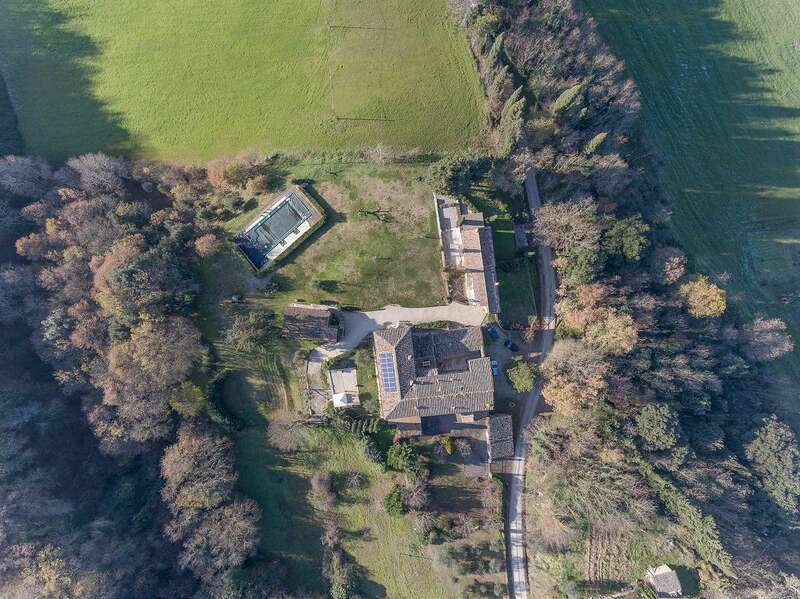 Several outbuildings used for storage and equipment. 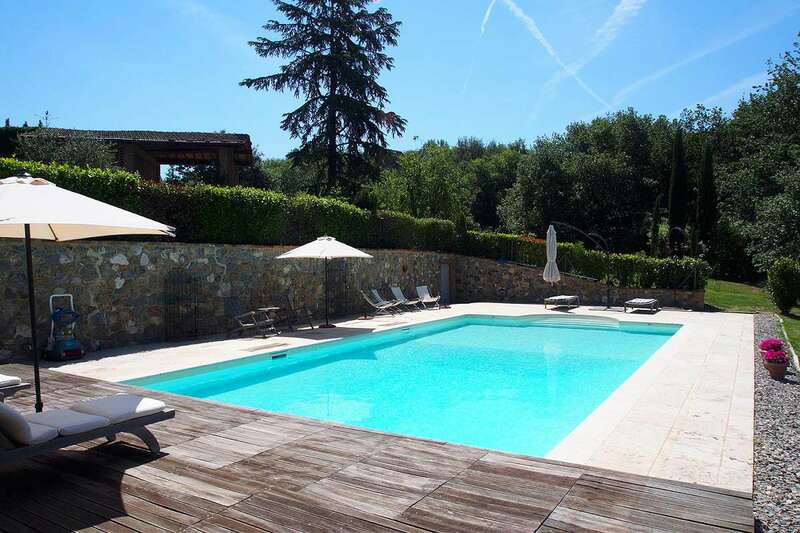 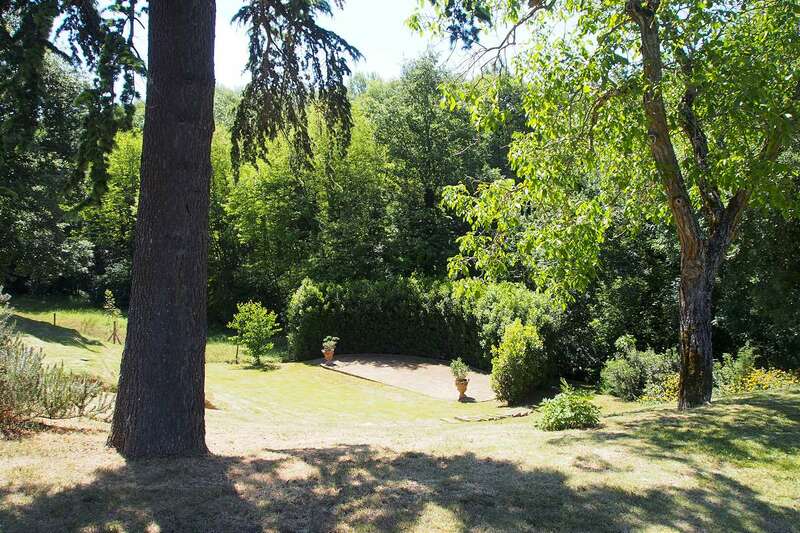 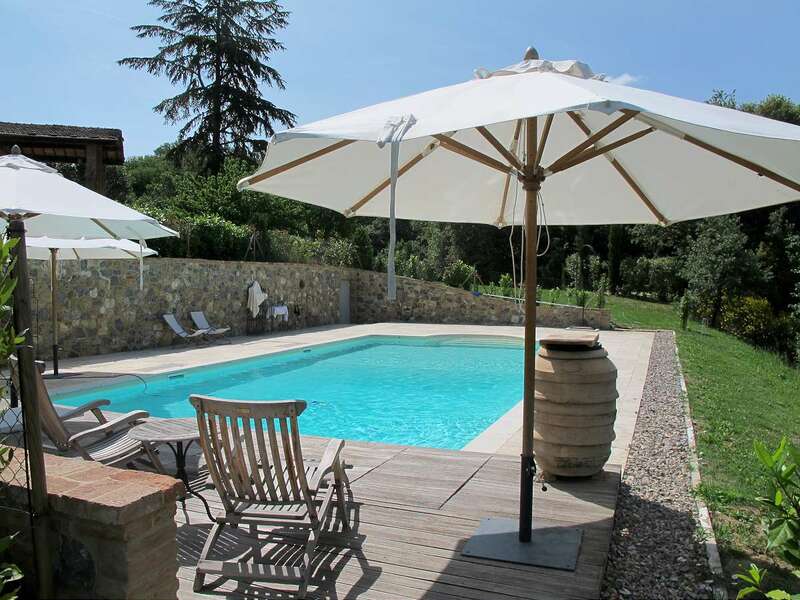 The property is surrounded by a large garden with panoramic views and a wonderful private pool. 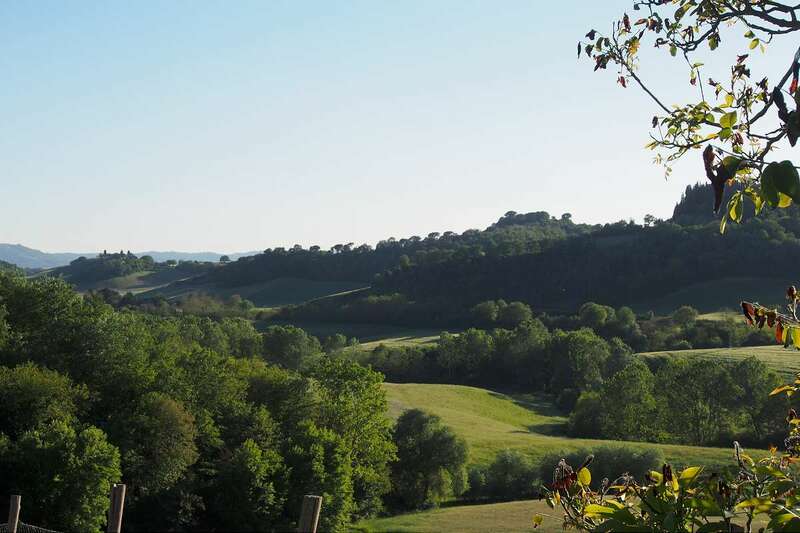 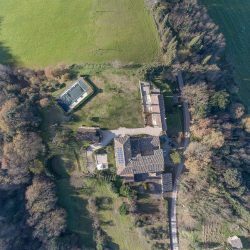 The remainder of the land is used for woodland, arable land and a small olive grove.